There are a few main drives that fuel this blog. 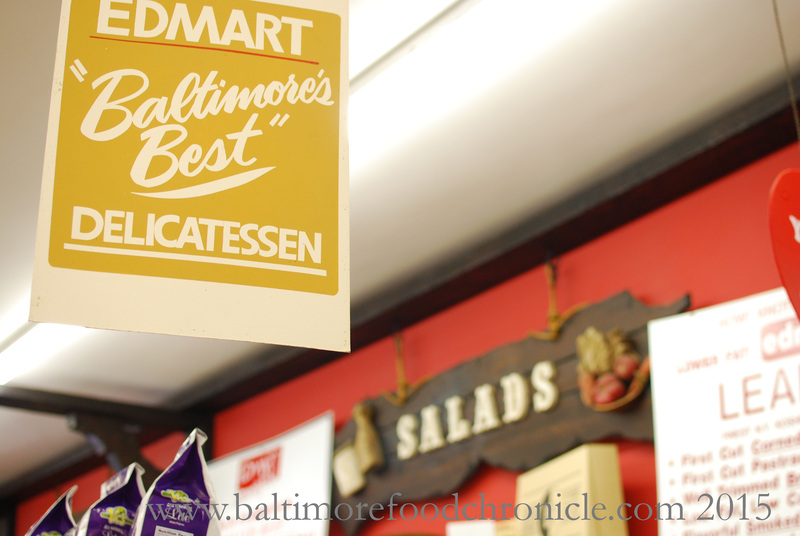 The first is my thirst for new, hidden gems in Baltimore that serve up authentic and unique local food. This is purely my lust for flavor, and a little of my OCD as a collector of experiences. The other would be the Food Network. Well, the Food Network and also Man vs. Food. So to my surprise one afternoon I just so happened to have the Food Network on, and The Best Thing I Ever Ate came on. And hometown hero Duff. 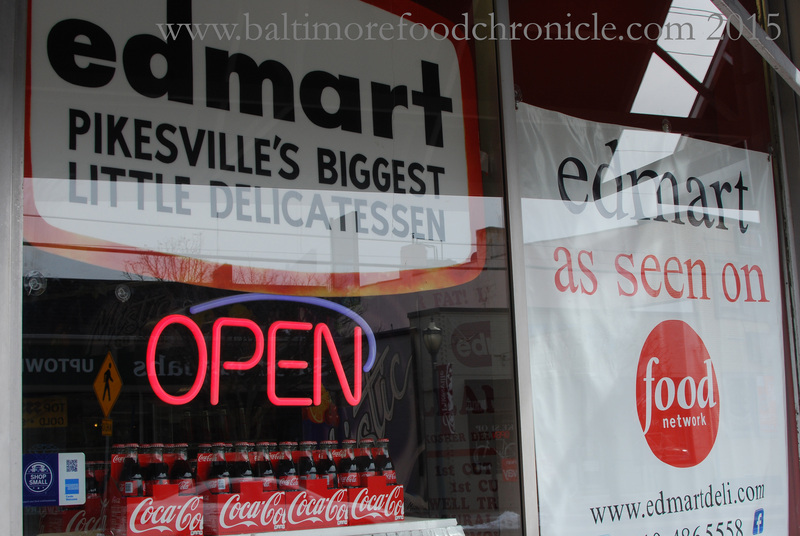 And all of a sudden, of all of the places I know, of all the places he takes the show to, he goes to Edmart. Edmart? I had to go and see for myself. Edmart is a small and charming market, really. 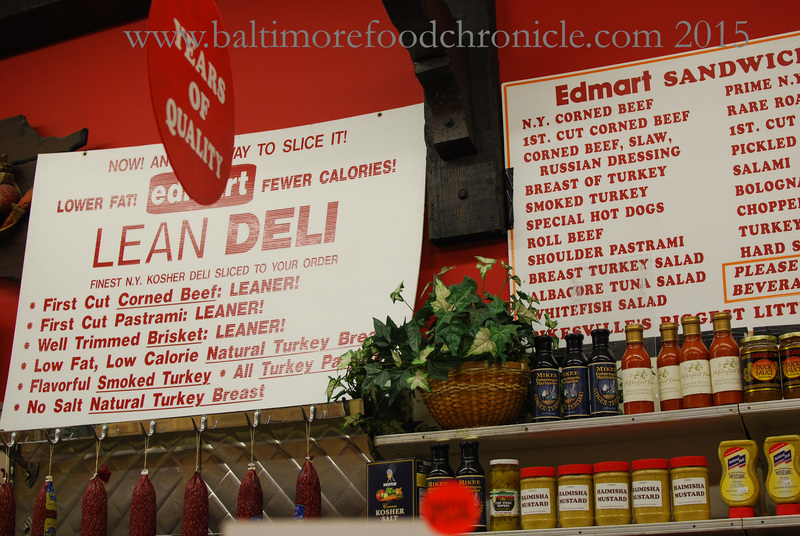 There is a small space in the back if you want to eat there, but it is a small nook tucked away on Reisterstown Road. Like many of these markets, it is packed with goodies and the owner and staff were incredibly friendly and helpful. 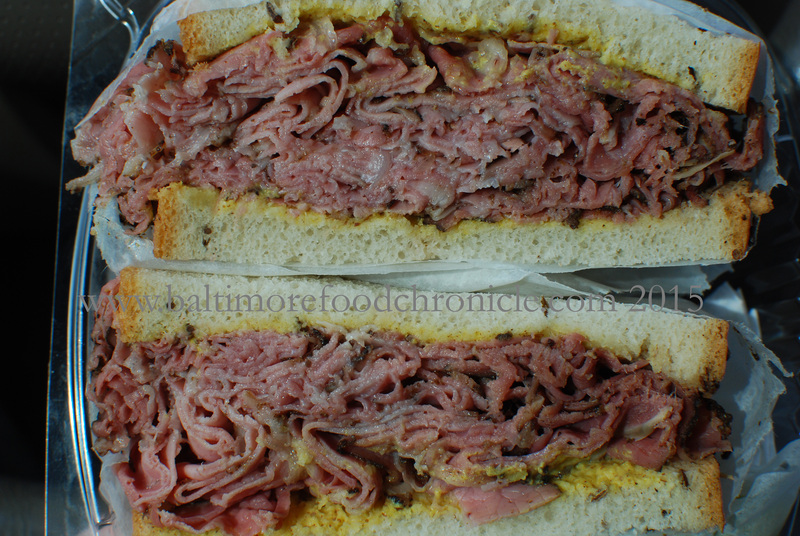 In fact when I asked for their suggestion as to what to get (I think I was in the mood for corned beef, or the Brisket Sandwich that Duff devoured, they suggested their pastrami. It was excellent! Tender, juicy meat on Jewish Rye with just a little deli mustard. Nice job Duff.